J. Christopher Jaffe on how dissatisfaction with a single high-profile venue ushered in a revolution in concert hall design. Ever wondered why some concert halls sound better than others? Acoustician J. Christopher Jaffe can tell you. In his new book “The Acoustics of Performance Halls” (W.W. Norton), Jaffe delves into this mysterious subject, identifying the most common misconceptions about what makes a successful concert space, and explaining how sound reflections (as opposed to geometry) are the key to developing a world-class venue. He also devotes considerable attention to subjective considerations, demonstrating the importance of how listeners perceive musical quality, and the role sonic memory plays in making qualitative judgments. 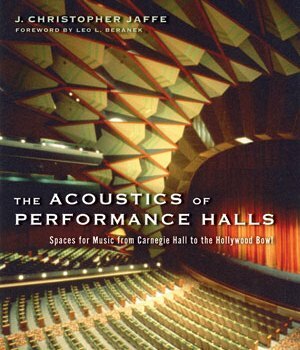 In the following excerpt from the book, Jaffe—who is responsible for innovative concepts like the tunable/coupled orchestra shell, the concert hall shaper, and “Cab Forward” design approaches to multiuse facilities—relates how the sound at Lincoln Center’s Philharmonic Hall led to a greater appreciation of acoustics, not to mention advances in his field, one in which he has worked for more than fifty years. During the ﬁrst half of the twentieth century, audiences, for the most part, enjoyed symphony concerts without a true appreciation of the sonic nuances of orchestral performance. This all changed in 1962, the year of the great concert hall acoustic debacle surrounding the opening of Philharmonic Hall at Lincoln Center in New York City. In the mid-ﬁfties, the power elite of New York City and State decided to raze a slum-like area on Manhattan’s Upper West Side to make way for a culture campus comprising buildings for the New York Philharmonic Orchestra, the Metropolitan Opera, the New York City Ballet, the Juilliard School of Music, and a not-yet-named new theater company. The ﬁrst building to be completed at Lincoln Center was Philharmonic Hall, the new home of the New York Philharmonic. Until this hall opened, the Philharmonic presented all of its concerts at Carnegie Hall, the acoustic crown jewel of American concert halls. Although not a shoebox, Carnegie had sufﬁcient hard wall surfaces to develop the reverberation and warmth associated with the traditional sound. Carnegie might have given acousticians of that time a hint of what geometric changes would be forthcoming in future concert hall designs. The new Philharmonic Hall was designed as a modiﬁed shoebox to mimic the interior of Boston’s Symphony Hall, with the addition of overhead reﬂectors similar to those ﬁrst used successfully at the Tanglewood Music Pavilion, summer home of the Boston Symphony—but to no avail. The public relations campaign mounted by Lincoln Center for the new hall was so massive that when it opened in 1962 it could never live up to expectations. Orchestra players complained that they could not hear themselves, and music critics commented that the hall was too bright and the bass response weak. Their dissatisfaction was compounded by the fact that the New York Philharmonic had moved to the new hall at Lincoln Center from the much-beloved Carnegie Hall, a hall with a warm, intimate sound that had been burned into the collective memory of the New York musical community for over sixty years. Musical memory (more properly, perhaps, sonic memory) plays an important part in the way individuals perceive an aural experience and their subsequent qualitative judgments. Mountains of newspaper coverage were given to this ﬁasco over a twelve-year period, a good deal of it by Harold Schonberg of the New York Times, the most inﬂuential classical music critic of the mid-century. With Lincoln Center and the New York Philharmonic struggling to ﬁnd a voice in the wilderness of musical politics, Mr. Schonberg had a ﬁeld day writing article after article on the acoustics of the hall as a sort of All My Children–type soap opera. These articles awakened the average listener to fact that there was much more to listening to classical music than the tunes. Mr. Schonberg and others cracked open their old physics textbooks, interviewed dozens of musicians, conductors, and musical scholars, and alerted the public to a slew of new sensory conceptions such as presence, transparency, envelopment, spaciousness, deﬁnition, and warmth. The problem was that most of these critics believed that many of these elements were missing from the environment of the new hall, and they didn’t hesitate to condemn the facility in article after article. The publicity accompanying the Philharmonic Hall opening and subsequent renovations is the basis for the rumor in New York that Mr. Schonberg invented concert hall acoustics. The poor critical reception of the new hall’s acoustics bolstered the perception that acoustical design was a poorly understood art rather than a true science. After years of tinkering, removing overhead reﬂectors, relocating balconies, adding side-wall diffusion, lowering the ceiling, and ﬁnally building a totally new interior space, the facility reopened in 1976 as Avery Fisher Hall and unfortunately still failed to meet the expectations of musicians and audiences alike. If a shoebox hall in New York City, one of the world’s capitals of music, could fail, what hope was there for the rest of us? However, just as Cowboy Tex always rescued the maiden in distress at the last minute, an acoustic savior appeared in the person of Dr. Leo Beranek, who revolutionized concert and performance hall design by reﬁning the musical acoustic translation system that enabled musicians and acousticians to converse with one another. A founder of the acoustical consultant ﬁrm known as Bolt, Beranek & Newman, Dr. Beranek had originally been asked to consult on the design for Philharmonic Hall (alas, his many recommendations had been ignored). As part of his preparation for that assignment, Dr. Beranek traveled the globe for several years, attending concerts in dozens of countries and interviewing conductors, musicians, and music critics to obtain their subjective evaluation of the acoustical characteristics of concert halls throughout the world. At the time of his travels, electronic acoustic instrumentation was sufﬁciently reﬁned for Beranek to accumulate a wealth of physical acoustic measurements. He then compared this data against the speciﬁc subjective observations he had collected. Building on Sabine’s work from early in the century, Beranek devised a translation system that ﬁnally enabled musicians and architectural acoustic scientists to speak with one another, a virtual acoustical Rosetta Stone. Beranek put all of this together in 1962 in a book entitled “Music, Acoustics, and Architecture,” which quickly became a handbook for those of us coming up in the profession. In brief, Beranek asserted that early reﬂections equaled presence, clarity, and deﬁnition, while sufﬁcient reverberation provided liveness and warmth. Beranek’s work segued neatly into the creation of a new profession: the concert hall acoustician. Those of us who applied the new translation system in our design work and appreciated that subjective listening experiences were related to speciﬁc characteristics of sound-wave patterns in rooms, not just the geometry, were able to create traditional listening environments without having to copy the architecture or construction materials of nineteenth-century buildings. Acousticians around the world were able to break the mold and design venues such as the Philharmonie in Berlin; the Town Hall Auditorium in Christchurch, New Zealand; the Sala Nezahualcóyotl in Mexico City; the Muziekcentrum Vredenburg, Holland; Boettcher Hall in Denver; and Suntory Hall in Tokyo. They stand as proof that reﬂecting patterns, not geometry, are the key to reproducing the traditional European symphonic sound environment. Acousticians were now able to break away from the shoebox geometry and create more intimate environments that matched the traditional sound of the early shoebox halls, those buildings in which the processes of composing and performing symphonies had been born. Excerpted from “The Acoustics of Performance Halls.” Copyright © 2010 by J. Christopher Jaffe. 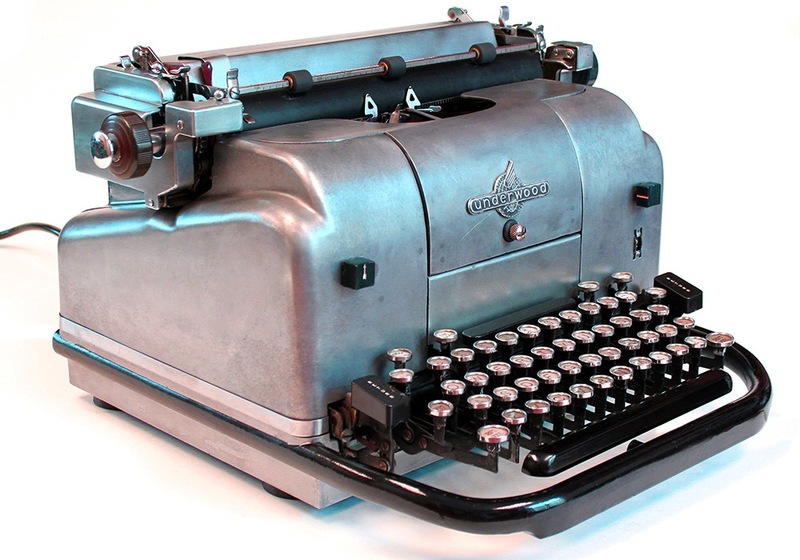 Reprinted with permission of the publisher, W.W Norton & Company, Inc.
How Much Is That Click, Clack Worth?—Richard Polt’s new “typist’s companion” illustrates how and why people are embracing typewriters—a symbol of resistance against the over-digitization of our lives. The Wizard of Oz—We’re off to see the Wizard, the wonderful Wizard of Oz.